Although nowhere near as much of a problem as they are in some other countries, mosquitoes can be a major annoyance in the US during the summer months. They’re especially prevalent in the south-east, where mosquito season can often go on until October if the weather is favorable. If you like taking camping holidays, then you’ve more than likely encountered these unpleasant little critters at some point. They spread disease through their blood-sucking habits, and if you’re particularly affected by them, you can be left with itchy bites for weeks on end. Unfortunately, most mosquito repellents you’d buy in a store are laden with unpleasant chemicals. Sprayed around liberally, they can damage air quality and also a lot of them eventually end up in water, where they are fatal to marine life even in very tiny doses. Substances common in spray and roll-on repellents include Deet, which can be a skin irritant, and higher concentrations are unsuitable for younger kids. So if you want to go for a more environmentally-friendly mosquito repellent, what are your options? Firstly, reduce your exposure. Anywhere near standing water makes for a perfect mosquito breeding ground, so if your camping site is positioned near a slow-moving body of water, ask to be moved. Camping in forests is generally good, as that usually means plenty of birds which eat mosquitoes. Try to stay indoors at dusk and dawn when mosquitoes are at their most active. Experts suggest that wearing darker clothing at night, with sleeves that cover your wrists, and trousers that cover your ankles, can help. Loose-fitting clothes are better, and also wear socks and shoes when wandering in coastal areas at night. Bring a small electric or battery-powered fan along with you when you go camping. Mosquitoes are nasty biting bugs, but they’re not so good at flying, so positioning a fan near you can keep all but the strongest of flyers away. A lot of campers in the US bring with them candles scented with citronella. These can have some, limited success, if you are sitting within a few feet of them, but they’re definitely not something you can rely on. Repellents containing the oil from eucalyptus or lemon have been shown to be effective. Some researchers have also reported success with catnip, but of course rubbing that on your exposed skin is going to make you smelling like, well, catnip, to the neighborhood felines. Maybe give this a miss if you’re camping on the Oregon coast unless you want to discover whether or not catnip appeals to cougars. Avoid wearing any strongly-scented perfumes or soaps, as these can attract mosquitoes. Similarly, some believe that alcohol has a similar effect, so take it easy round the campfire if there’s bugs about. 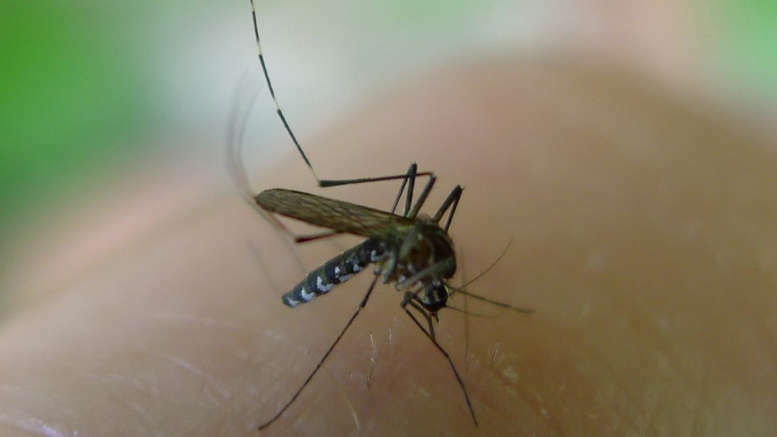 Scientists agree that for a variety of reasons, mosquitoes prefer some skin types to others, so while a man might be covered in bites after an evening outside, his wife sitting right next to him could have none. There’s not a huge amount that can really be done about that bar taking as many precautions as possible and trying to give them a wide berth. And making the most of that particular thrill from catching one in the act and squashing it flat. 1 Comment on "6 Eco-Friendly Ways to Keep Mosquitoes Away"
The surest way to keep mosquitos at bay is to place a physical barrier between yourself and them. If you’re lucky enough to have a fully-screened verandah then you re in an ideal situation – this ensures complete protection while giving you that cool breeze when dusk falls.